This week I’m sharing my recipe for an easy midweek meal, which goes down well with the whole family. 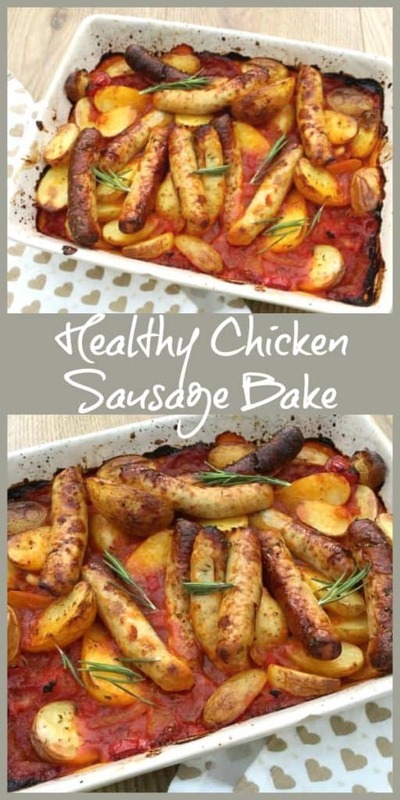 My healthy sausage and potato bake is low in fat too as I used Heck chicken sausages in place of normal sausages. It is easy to make and perfect for chilly evenings as well, when you want a hearty meal. Shove it in the oven and it won’t take long. When I’m not baking along with the Great British Bake Off I do actually try to follow the WeightWatchers plan. My colleagues have had a lot of cake and bakes to sample recently in my latest attempt not to polish the lot off myself!! 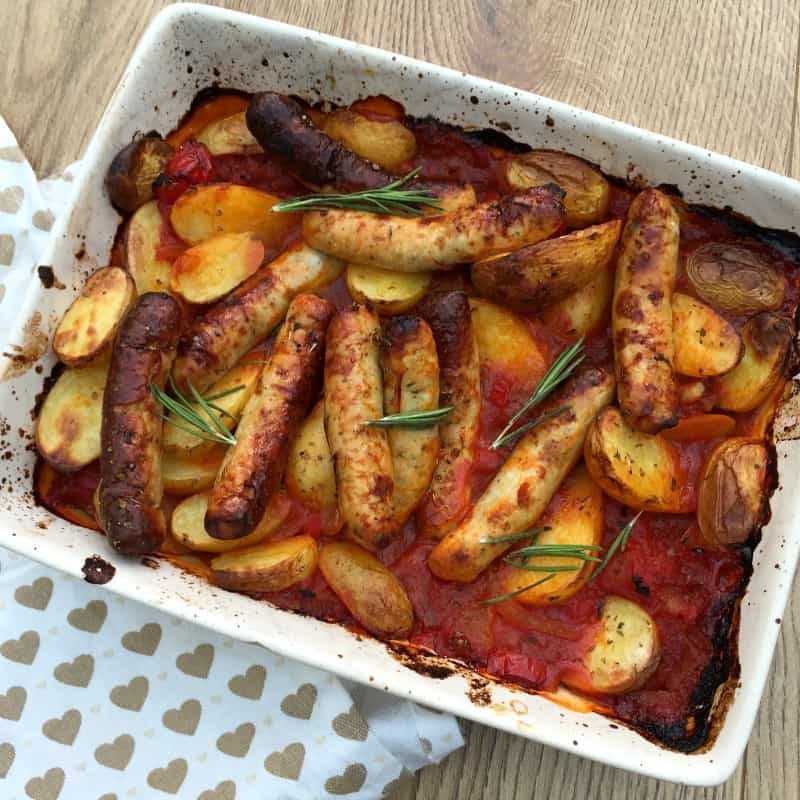 I created this recipe when I wanted a meal low in Smartpoints but which would be a good winter warmer and full of flavour. 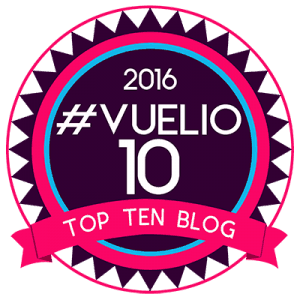 It will feature regularly on my meal plan now as we really enjoyed it! I served it with green vegetables on the side, but you can also add in other vegetables to bulk it out further as well. It’s easy to make and is great on a cold evening when you want something filling for supper but which won’t be too heavy. I also like to add different vegetables like butternut squash, red peppers, carrots and so on depending on what I have in the fridge. 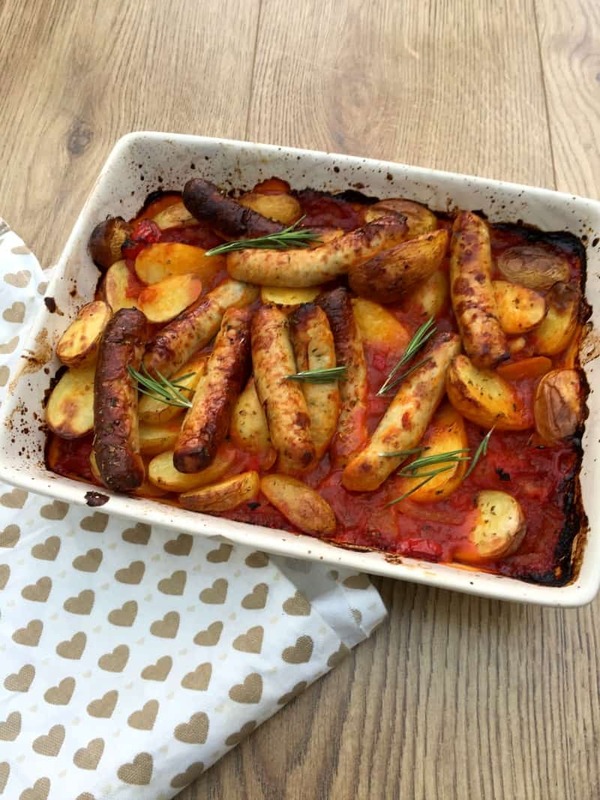 Pin my healthy sausage and potato bake recipe for later! Fry the onion in the oil until translucent. Add the garlic and cook for one minute. Add the pepper, tin of tomatoes, tomato purée and half a tin of water. Simmer until thickened. Pour the sauce into an oven dish. Put the baby potatoes on top of the sauce, then the sausages on top of that. Mix round. 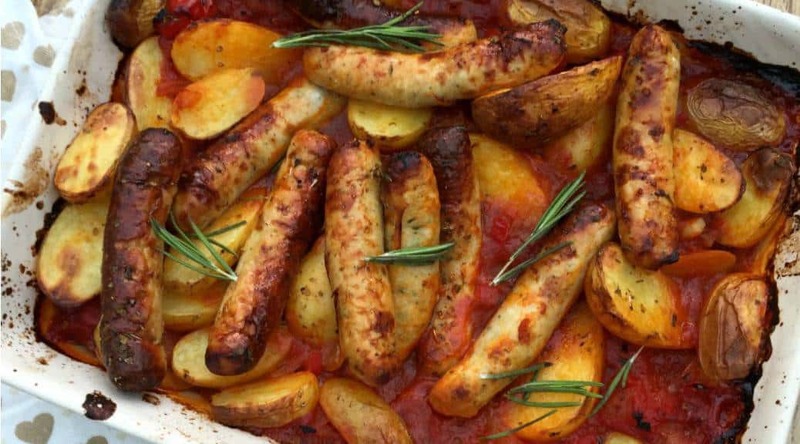 Use a few sprays of olive oil to oil the potatoes and sausages lightly. Sprinkle over the oregano. Bake for 45 minutes at 200 degrees (fan). 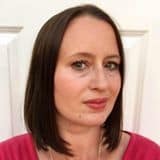 Fab recipe Lucy! 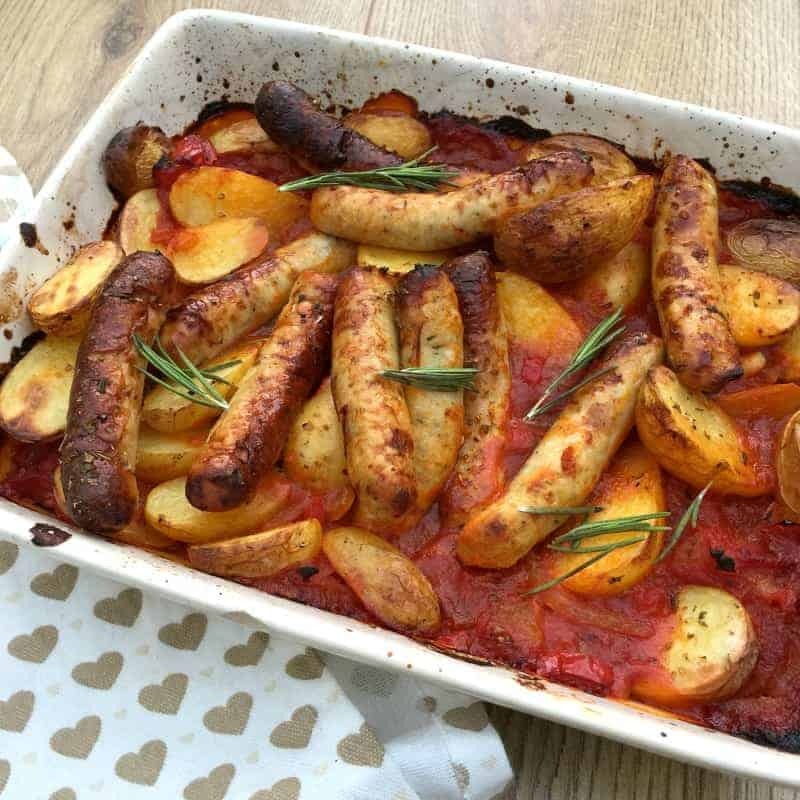 I’m a huge fan of heck sausages and this is a great way of doing something other than just sausage and mash 🙂 I bet the herbs in the sausages go really well with the rest of the dish! This looks delicious! Perfect for a cold winter’s evening. Thanks Cat, it was tasty and so good to be able to make it after work!